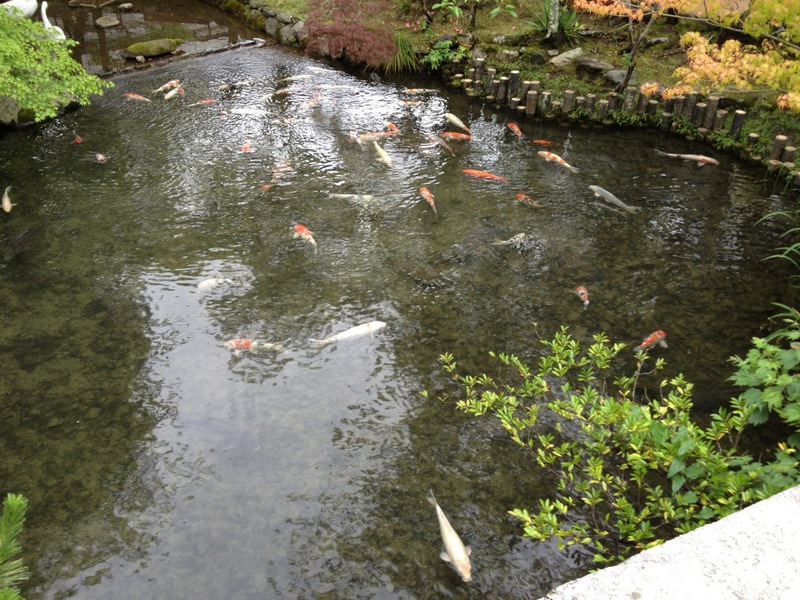 As long as I can remember, I’ve been drawn to ponds with colorful fish, especially the Japanese painted koi. They glide through the water with the grace of kings, but beg like children when people approach with treats. 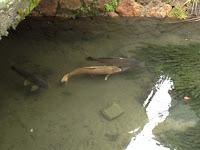 The word “koi” is actually Japanese for “carp.” In Japan, the colorful ones in ponds are nishikigoi, or “brocaded carp,” and although they originated as food, the Japanese have kept them as domesticated ornamental fish for hundreds of years. 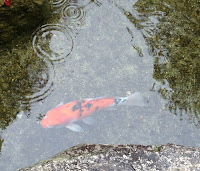 When plotting my Shinobi Mystery series, I wanted at least one character to share my appreciation for ornamental fish. Since my ninja detective, Hiro, has a kitten, it only made sense to give the love of fish to Hiro’s partner in crime (solving), Portuguese Jesuit Father Mateo. During my recent research trip, I realized, yet again, exactly how prevalent these lovely fish are in Japanese gardens. 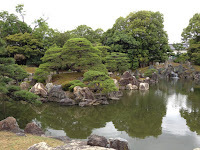 Shoguns often placed koi in the ponds adjacent to their private gardens; we saw several swimming in this lovely pond in the garden outside Ninomaru Palace, on the grounds of Nijo Castle in Kyoto. They have little fear of humans, and beg shamelessly for treats, which makes them easy to photograph—like this large school at Kyoto’s Eikan-do Temple. 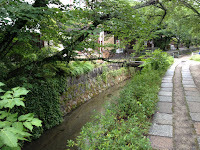 Wild koi swimming in the canal along the philosopher’s path, a 2-mile trail that winds past several of Kyoto’s famous shrines and temples. Within two generations, many lose their lovely colors and revert to solid, darker shades that provide more camouflage. 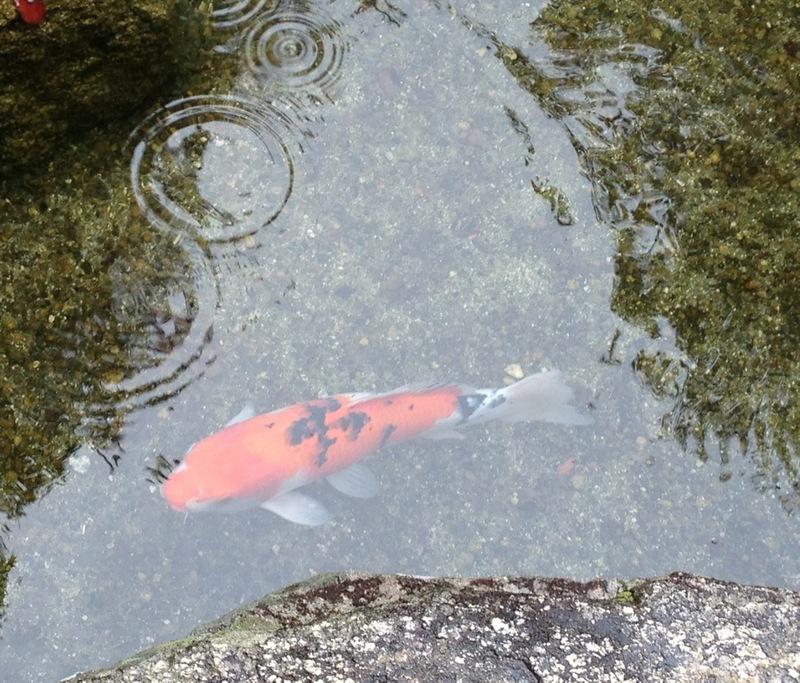 The loveliest koi I saw in Japan were swimming in a pond outside Ryokan Iwaso on Miyajima, a sacred island off the coast of Hiroshima. Not only did these fish display the iconic red and white patterning so common in Japanese paintings, but their large size and calm demeanor made them peaceful to watch. 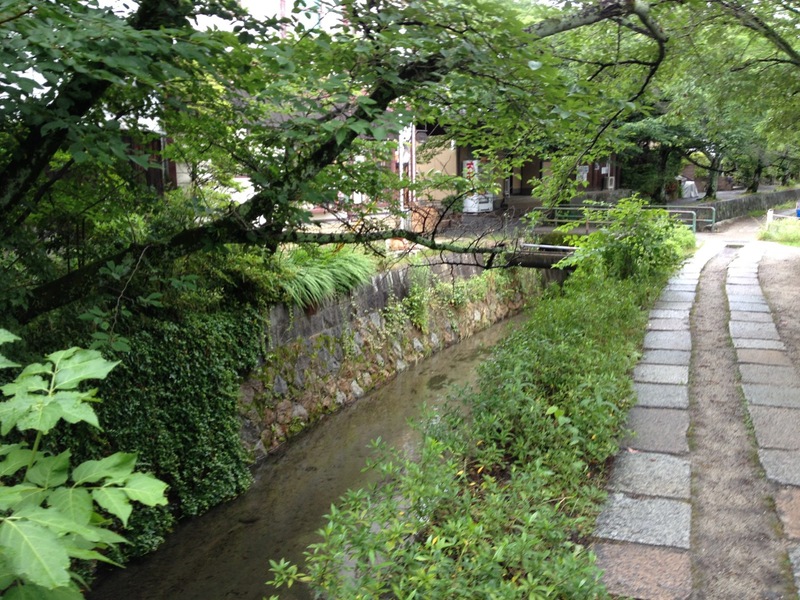 Add in early morning rain, and it’s hard to imagine a more idyllic scene. The tranquil atmosphere of Father Mateo’s koi pond lends a pool of calm to the often-frantic pace of investigations in my Shinobi Mystery series—a place for silent reflection in the midst of a dangerous time and city. 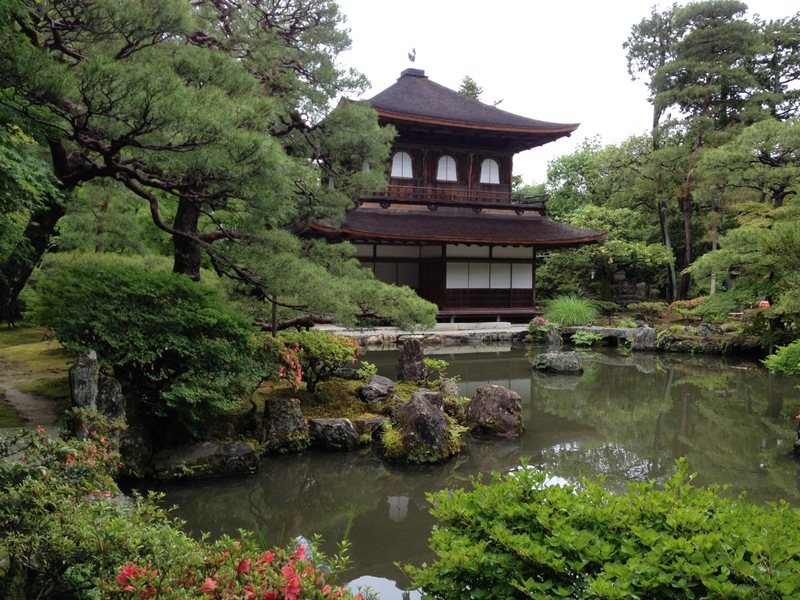 During my visit to Japan, it was lovely to see that koi still fill that role in Japanese gardens—old and new—and to spend some time in the presence of these beautiful, iconic fish. 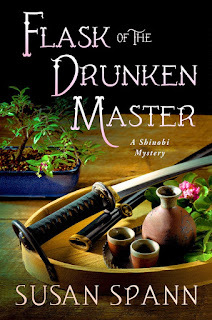 Susan Spann writes the Shinobi Mysteries, featuring ninja detective Hiro Hattori and his Portuguese Jesuit sidekick, Father Mateo. 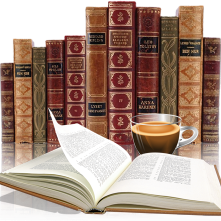 Her debut novel, CLAWS OF THE CAT (Minotaur Books, 2013), was a Library Journal Mystery Debut of the Month and a finalist for the Silver Falchion Award for Best First Novel. BLADE OF THE SAMURAI released in 2014, and her third novel, FLASK OF THE DRUNKEN MASTER, releases on July 14, 2015. Susan is also a transactional attorney whose practice focuses on publishing law and business. When not writing or practicing law, she raises seahorses and rare corals in her marine aquarium. 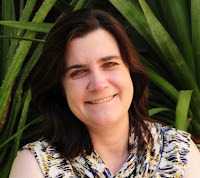 You can find her online at http://www.SusanSpann.com, on Twitter (@SusanSpann), and on Facebook (SusanSpannAuthor).